It is just a week that this little peanut has been in our life. But he had been in our hearts for a while before his arrival. With every pic and update we received regarding this guy we considered him a family member, prior to ever getting to kiss his little head. And now that he is here it's hard to believe that the funny little pup from those pics is actually sitting in my lap. Aaron and I just constantly look down at him, shaking our heads and saying "He is home". He already gets our routine. He has his spots…he's got his decisions about how he's going to navigate the day. We watch as he hops off the couch and leaves the room, then hear him get a drink in the kitchen, and then he trots back in and hops back up on the couch to curl up in his spot again. 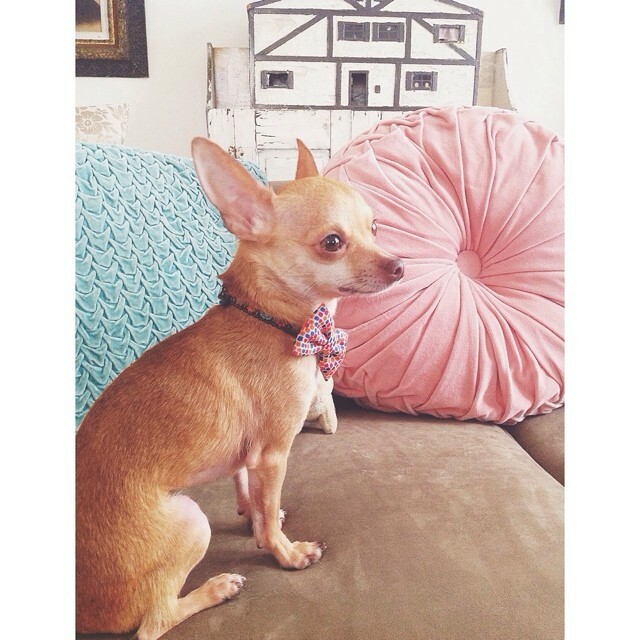 He and Carlos have been getting along great! They have beds next to each other on the floor and are always trading who's bed is who's. 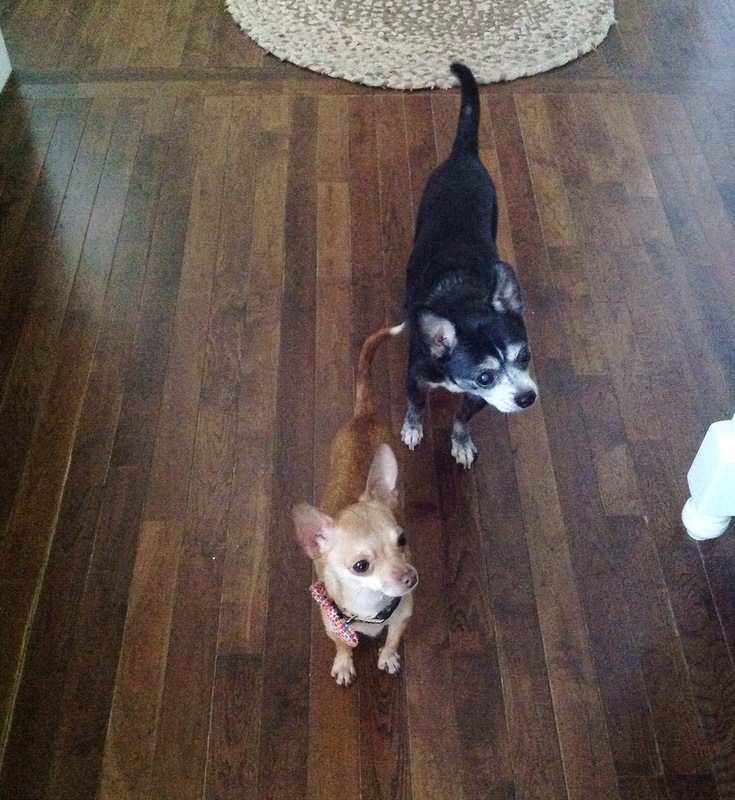 Anytime we are in the kitchen they are like book ends, sitting or standing, and keeping an eye on the food prep. And the same way that Carlos and little Jack used to sit on the entry rug, so do Carlos and Dan. And Lieutenant Dan also sits with his one paw up, just like Jack used to. Above is what the two guys look like when they jump up off the rug because they hear something particularly interesting going on with the dinner preparations.We keep saying to them…"You guys are brothers!" It has been raining all day, with lots of thunder. We were wondering if the thunder would bother the little guy. 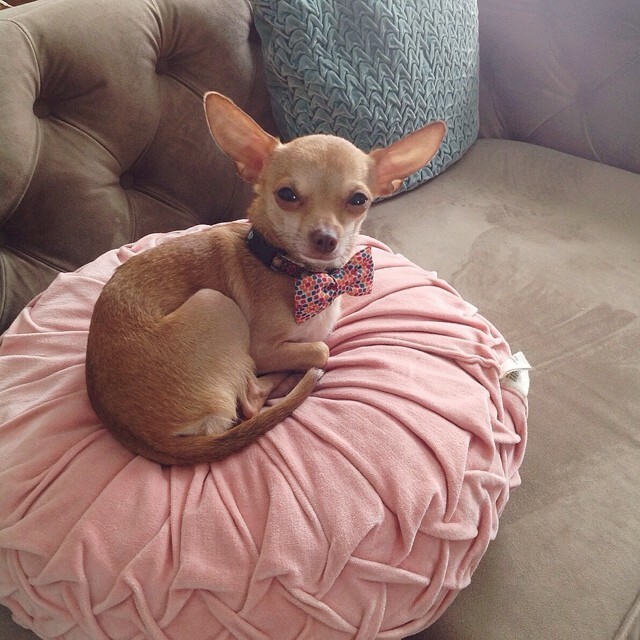 When I asked him if he was the type of pup that would need a thunder shirt…he looked at me with squinty eyes, fully alert ears, and said that the pink tuffet would do the job just fine. I can't even take it! Here he is asleep on my lap. I love that little smile. This pic cracks me up! This is from earlier in the week. It's amazing how every day he gets more and more comfortable. We're just so incredibly thankful for him…it just feels so meant to be. We're thankful that our friend Bernie Berlin knew that Lt. Dan was meant for us. Again, if you do not follow A Place To Bark on Facebook… You Should! Bernie tries to keep us all up to speed with the daily goings on, and she shares so many stories that start out sad but are guaranteed to have a happy ending. Seeing dogs go from death row to adoption is amazing. I love knowing that each little pup will possibly be the heart and soul of the family they go home with. Bernie is tireless, dedicated, and incredible! 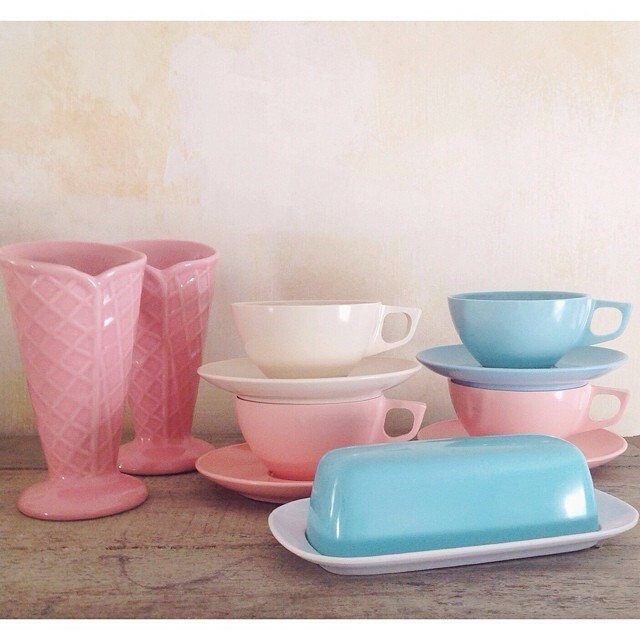 In other news…we are so so excited about our new InstaShop! And by Insta shop I mean Instagram! I just adore the Instagram community, where I have met some awesome, talented, and kind friends in the past year or so that I have been on there. Aaron and I will be hosting sales of all sorts of fun things from our personal collection that we have amassed over the years. Lots of vintage, some kitchenware like the above Melamine, old and new, kitchsy and cute collectibles, craft supplies, ephemera, one of a kind art pieces, etc. 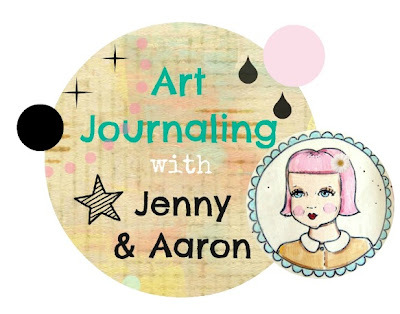 We are shooting for this Thursday evening for our first sale! So if you'd like to follow along and possibly do some shopping or know someone who would…make sure to follow @shoplikeitsaholiday on Instagram. It is going to be hard to part with some of these things that we've been collecting together for over 18 years, but we know they will go to great homes! 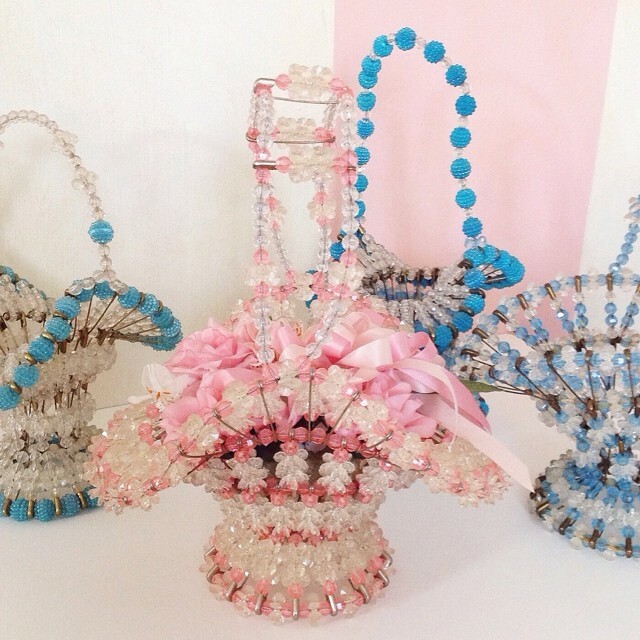 These vintage beaded baskets are just so fun! The price of these got sorta out of control as soon as an article about them came out in Martha Stewart's Mag a few years back. On ebay I remember seeing prices shoot up in a matter of 2 weeks. 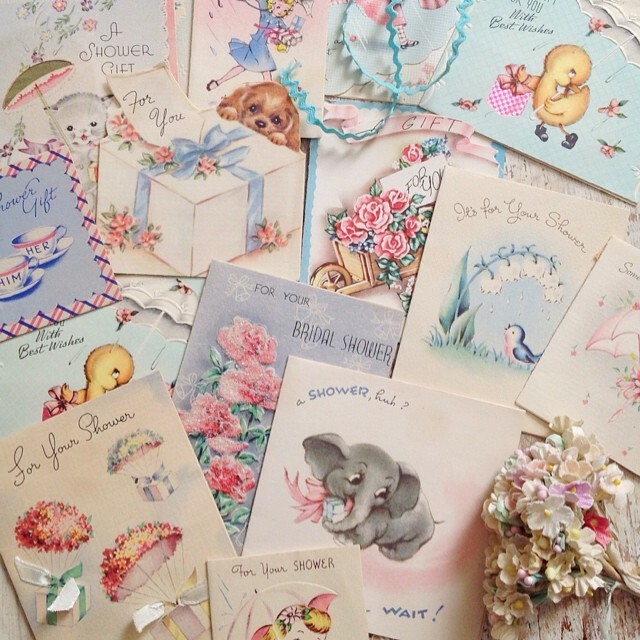 Another of our favorite things are vintage greeting cards, mostly from the 40s and 50s. We've been collecting them for over 18 yrs! 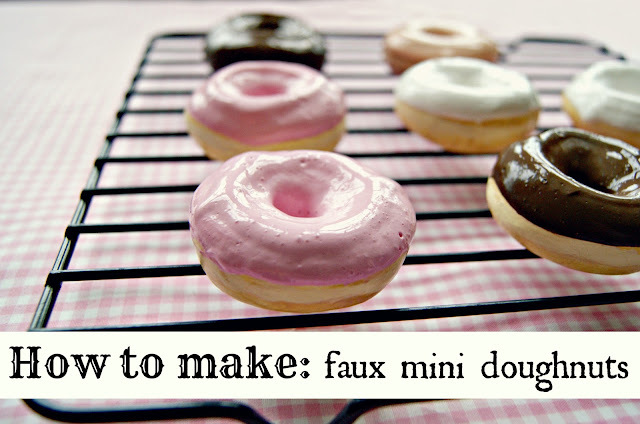 We have multiples of some, so we'll be offering cute groupings in the InstaSale! 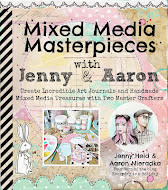 Great for Art Journaling, scrapbooking, card making, or scanning and printing for all sorts of crafts! 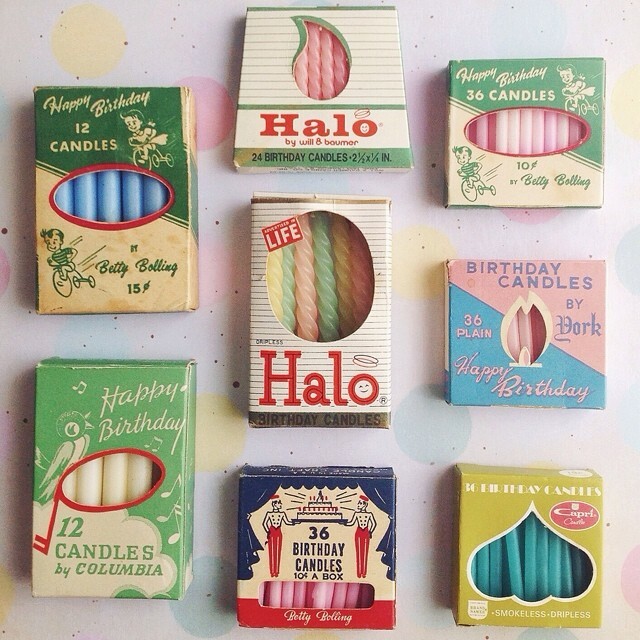 I am a sucker for vintage birthday candles in original boxes! I have multiples of a few so they may end up in the sale as well! And I started digging through our vintage cupcake and cake decorations. I've got some goodies for sure. 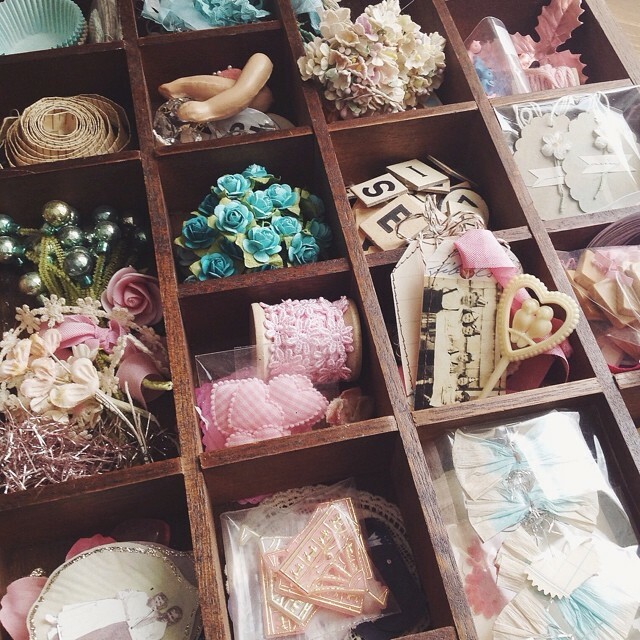 I think we will be putting together little inspiration boxes or bags…a mix of things. 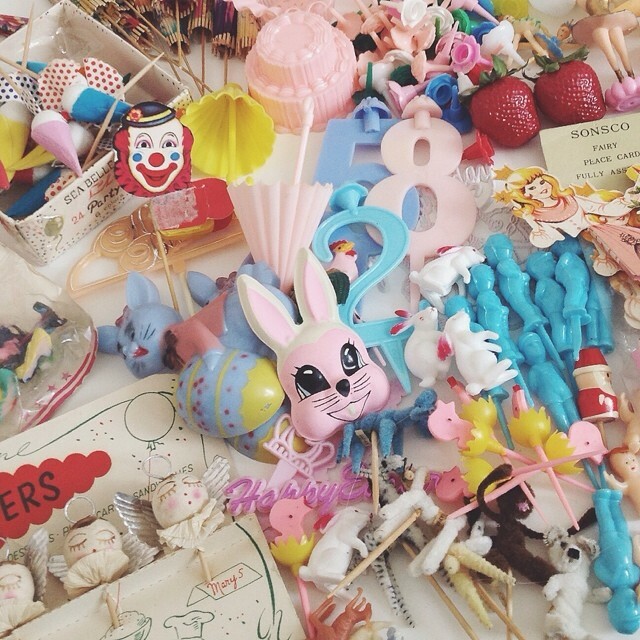 Ephemera, ribbons, and cute bits and pieces to be used in all kinds of projects. I'm hoping for a bit of sunshine tomorrow so that I can finish photographing items for the sale. I'm really excited and hope that we can send some happy packages off to new homes. Thanks so much for popping in! And for all the sweet words on our newest family member! 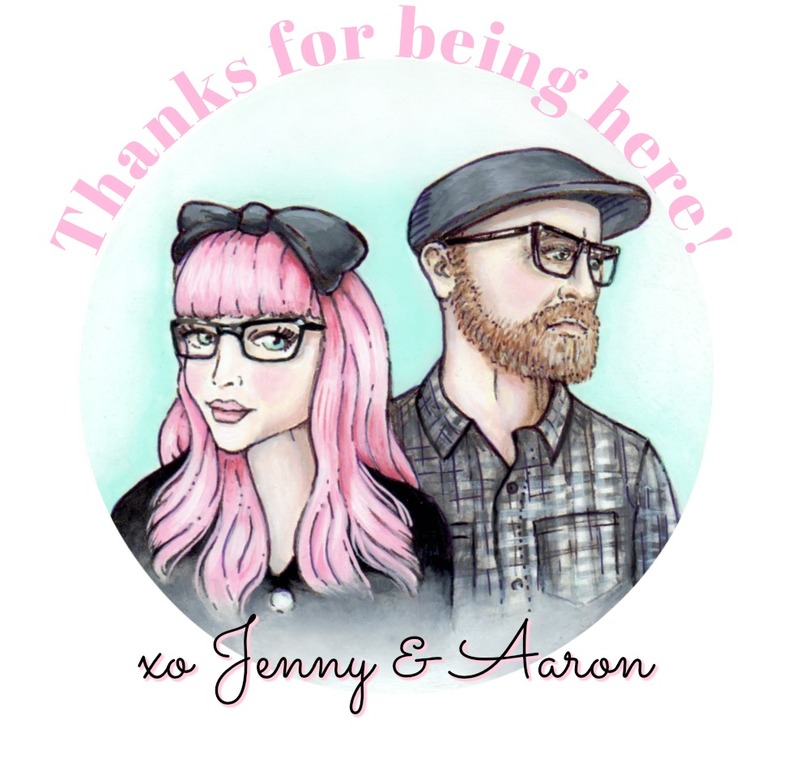 xo Jenny…and Aaron says hi! AW!!! HE IS SO CUTE! They both are! He is sooooooooo cute!!!!!! And loving the goods up for sale!!! I really like it! Super cute! I'm so happy he got to come live with you guys!!! I have so much love for lieutenant dan. 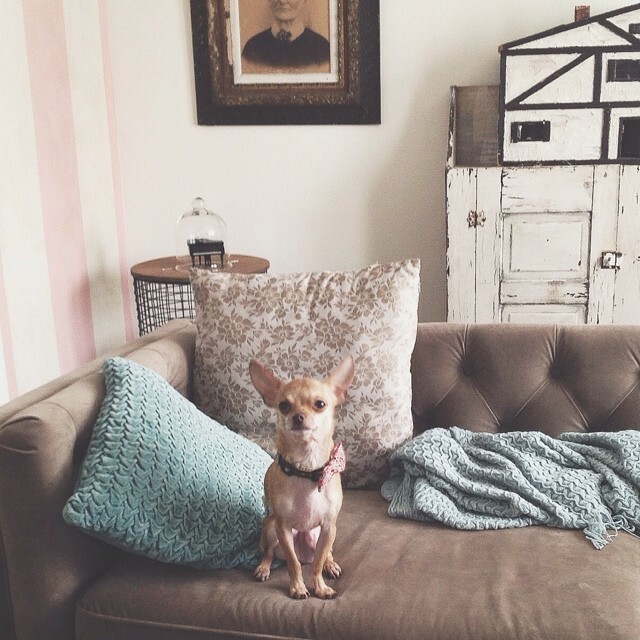 That pink cushion is darling too. 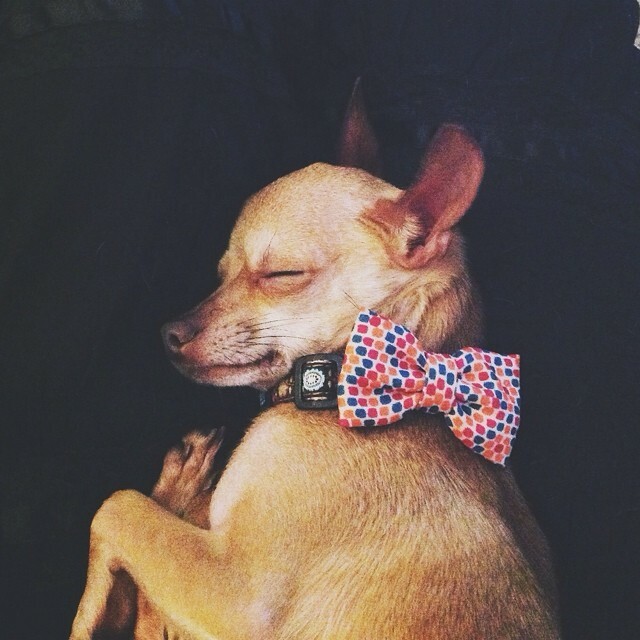 I love the pic of him sleeping!